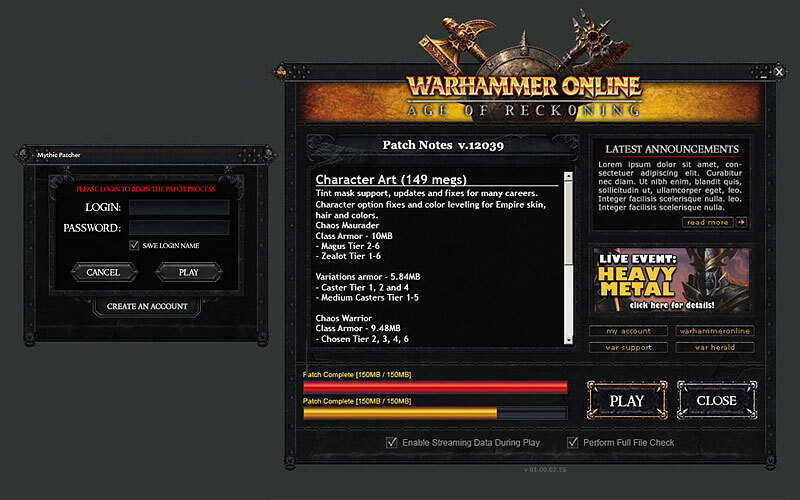 With the impending launch of Warhammer Online, saying everyone in the studio was busy is a huge understatement. 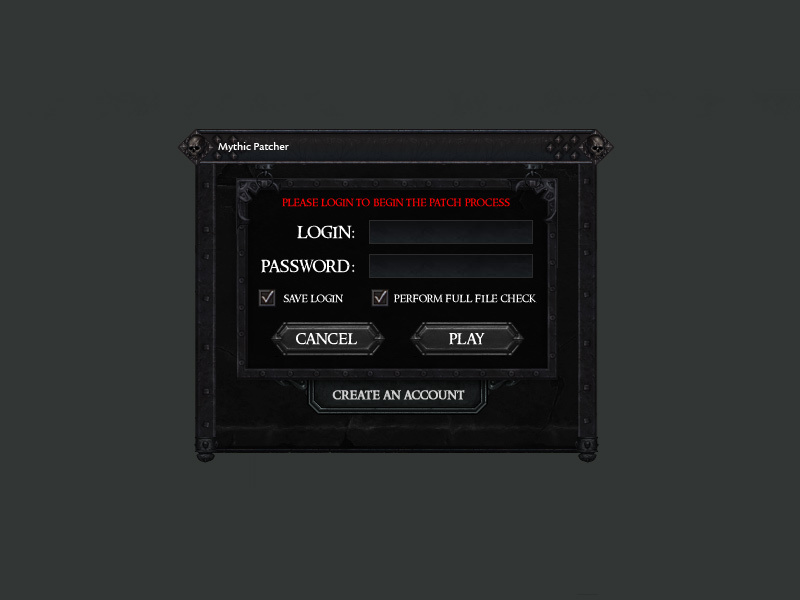 With the art team under some tight deadlines, I was approached to create the games patcher design. The studio wanted something much more graphical than the one used during beta. 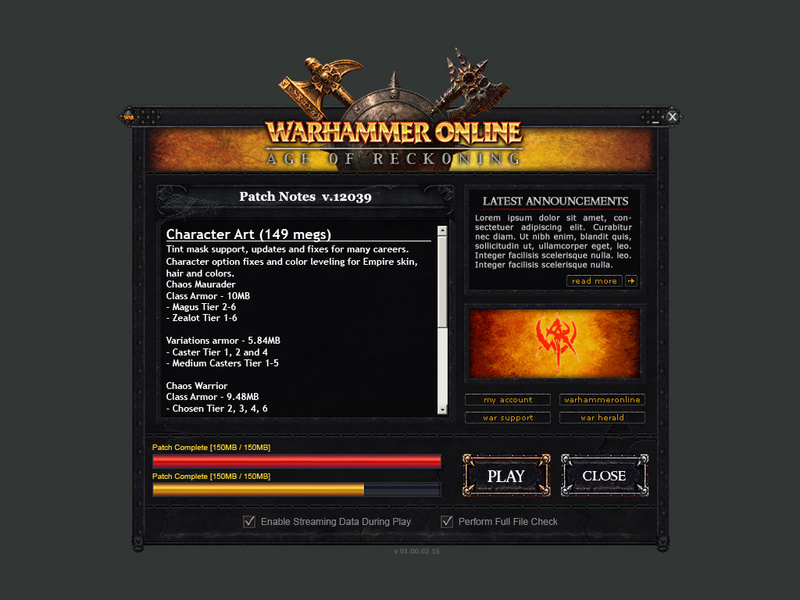 I took styling cues from the design of the Warhammer Online website design, just to further the cohesive look from site, to patcher to game. Added in an area for news announcements, a small ad box for marketing’s latest offerings, as well as quick links to areas of interest on the website.